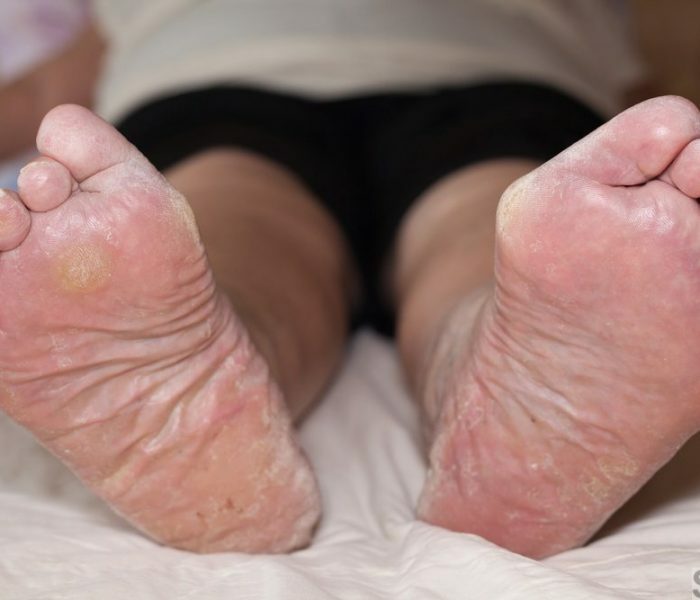 If you think dry feet are not a big deal you must have a look at the weighty scientific word for it ‘Keratoderma plantare sulcatum’ to give it weightage phonetically first. Dry feet is a not just a cosmetic issue as our foot is more of a complex musculoskeletal system that takes the weight of the whole body. This simply means that they are lacking moisture to remain naturally soft, supple and healthy. 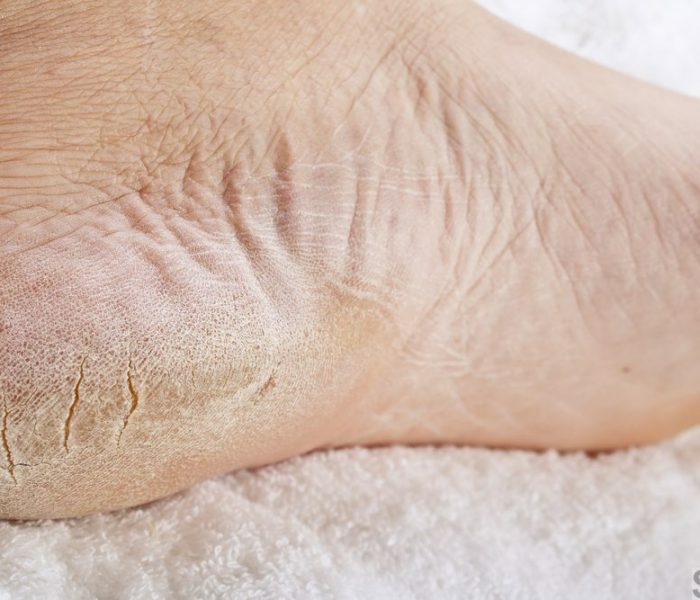 An unhealthy foot may not only lead to dry skin but create problems like hip and back pain. 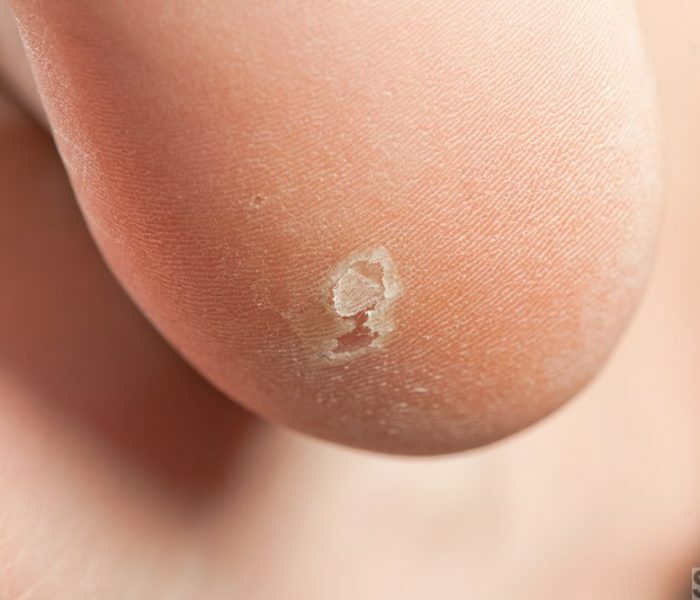 Dry feet often lead to painful fissures (deep cracks formed due to dryness in the feet) that bleed quite often. Skin on the feet does not have oil glands, making the body completely dependent on the sweat glands. This makes it more necessary for us to take care of our feet as it might just not look bad while wearing our favorite sandals but also affect our body largely. The medical term for extremely dry skin is Dermatitis. Irritant contact, atopic, seborrheic and allergic contacts are the different types of dermatitis. When our skin reacts to the touch of something that causes inflammation, it develops contact dermatitis. When the skin is exposed to a chemical agent that causes irritation, irritant contact dermatitis occurs. 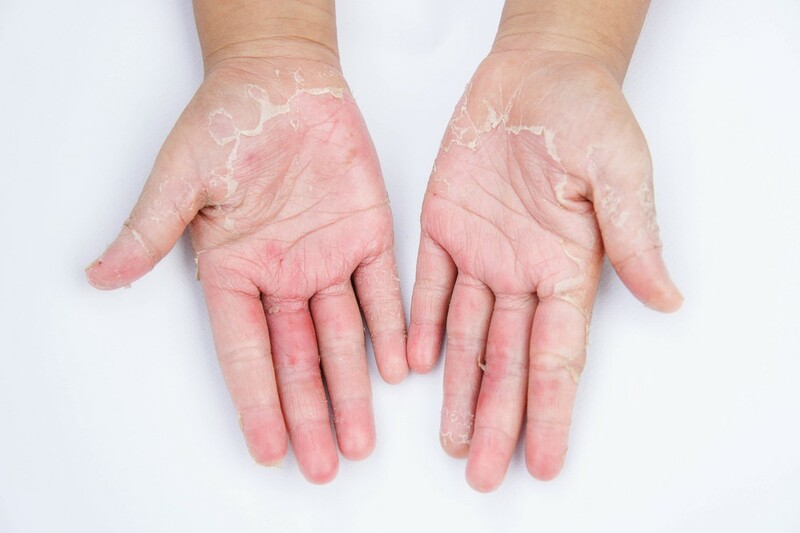 Seborrheic dermatitis is common in infants and occurs as a reaction to too much usage of oils, resulting in a red and scaly rash usually occurring on the scalp of the body. Allergic contact dermatitis occurs with the contact of the element your skin is allergic to. Eczema also known as atopic dermatitis is a chronic skin problem that leads to dry scaly patches to appear on the skin. Allergic eczema is a type of rash which is formed when the body comes into contact with an element that the body is allergic to. It often occurs much later than the exposure to the substance that initiated the allergic reaction. The elements that can cause this allergy are nickel that is generally found in belt buckles, jewellery and buttons made of metal in jeans. Cosmetics such as perfumes, hair dye, soaps and cleaning products also contain this element. Clothing dyes, latex and poison ivy are amongst the others. Neomycin is found in antibiotic creams and ointments that might cause allergy to the skin at some point. Allergic eczema is formed also when the skin goes through the exposure to the sunlight and its chemicals. An allergic reaction may arise while spending all day in the sun. This would need immediate attention of your doctor to recommend medicines that would suit your skin type. 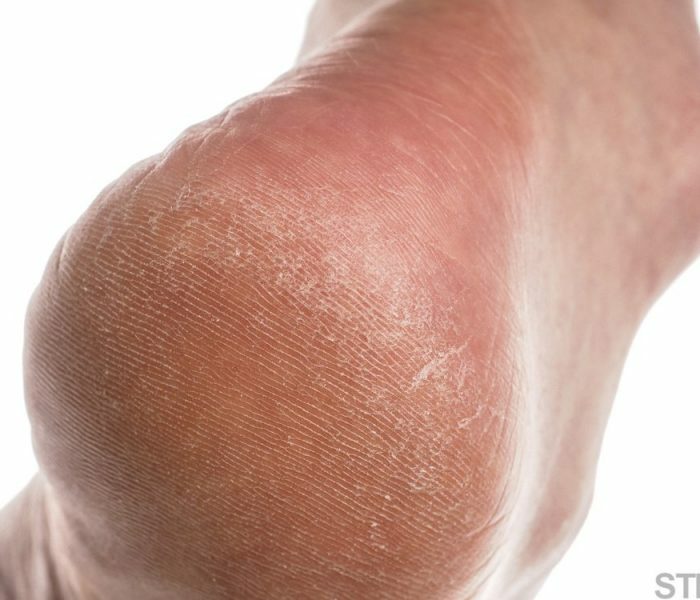 The sweat glands of the feet are destroyed due to years of prolonged standing and being excessively overweight as it causes additional pressure on the feet. Too much of hot showers, hot baths or foot baths can lead to dry feet as exposure to hot water leads to breaking down of the natural skin barriers allowing moisture to escape resulting to excessive dry skin on feet. Medical patients of Diabetics and hypothyroidism have less sweating, increasing dryness of the skin. Diabetic’s patients experience damage in the nerves of the feet. 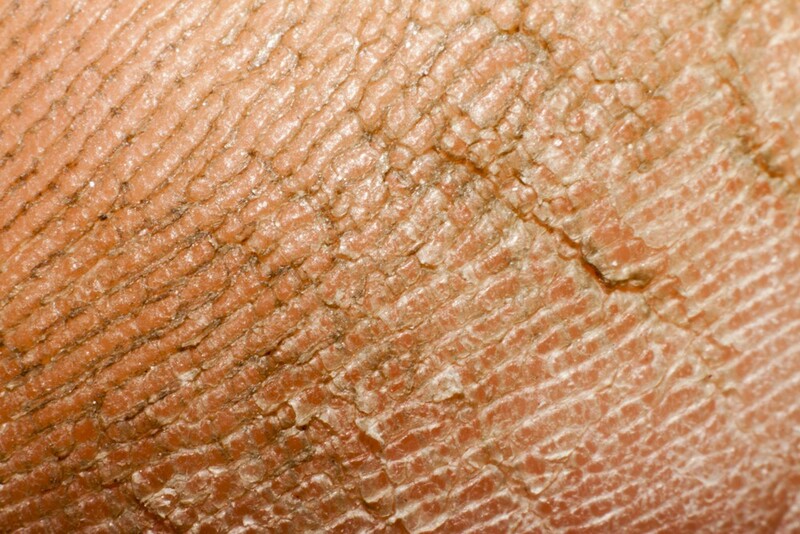 Dry skin makes its way due to uncontrolled blood sugar. The natural moisture of the skin is affected with poor blood supply and gives rise to complications in the body. Dry climate leads to dry skin as it removes the moisture in the skin like in the winter season you might face the maximum skin problems. Skin problems with atopic and psoriasis lead in developing dry and rough patches affecting the skin. Swimming in chlorinated pools harms the natural moisture of the body. Hormonal imbalances due to aging increases dry skin as it loses the elasticity and lipids in process like menopause. In the beginning people suffering from dry feet accommodate the mild suffering without bothering for its treatment but it is essential to know the complications it might lead to. With time the cracks around the heels may increase that can be so painful that walking would turn difficult. The limitation on the ability of the feet may lead to a change in your job. 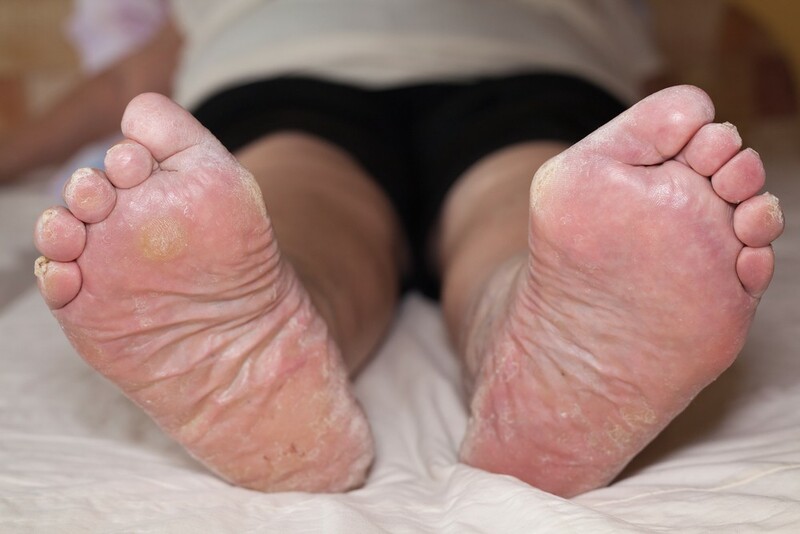 Skin conditions such as psoriasis or dermatitis may increase from severely dry skin on feet. Itchiness and skin burns will affect on a daily basis. On the worst scenario expensive treatment can be needed if counter medications stop working. 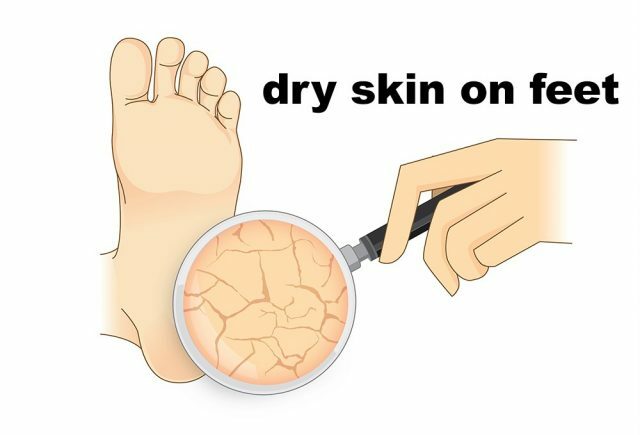 The additional symptoms that follow along with dry skin are itchiness, cracks in the feet or fissures, redness, flaky skin, rough skin, peeling skin and rashes. If you are looking for some easy ways on how to get rid of dry skin on feet, note that padded shoes can prevent from dry feet and cracks. Medicines like antihistamines or diuretics can control the dryness of the feet. 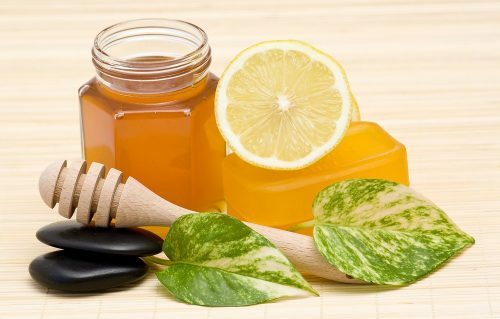 There are some simple techniques to keep away fissures or dry skin that can be tried at our homes itself. If these fail, visiting a physician would be recommended. Scrubbing cracked feet helps in loosening the hard and dead cells yielding healing results. Soaking your feet in warm soapy water (not more than 15 minutes as too much of hot water is harmful as already mentioned earlier) will soften the skin before scrubbing. Regular moisturizing with oil based moisturizer or foot cream before bed can act effectively. Thick creams like Eucerin and Cetaphil are suggested for usage. Wear clean cotton socks after this procedure overnight. Coconut oil (antifungal and antimicrobial) can also be used as it helps to moisturize as well as removes bacterial infections and fungal. You can also apply a mixture of glycerin and lemon juice on your feet for 20 minutes and wash it off after that with water. 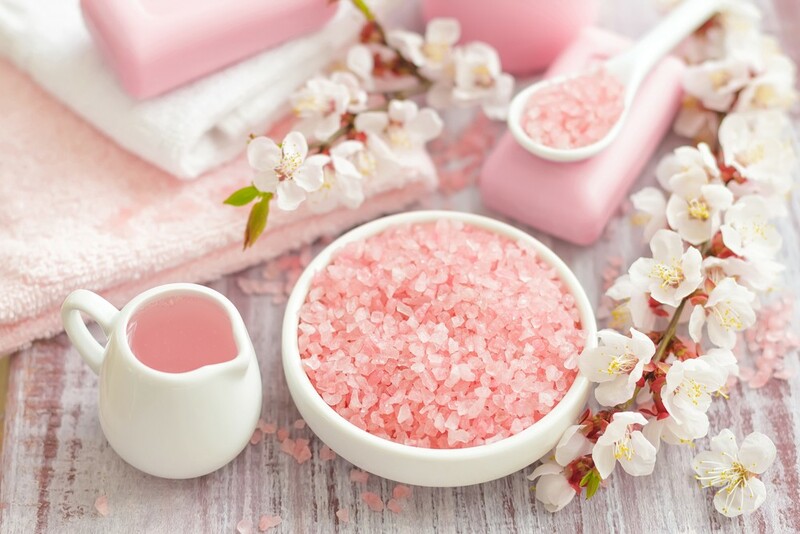 Rose water can also be added. Dry skin on feet removal techniques involve Paraffin wax that works as a natural soothing element to heal dry skin by retaining the natural oils on the skin. 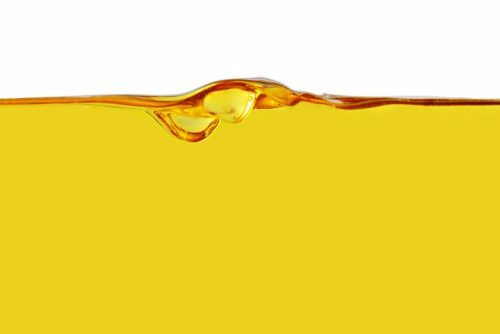 To have the most effective use you must add mustard or coconut oil (equal amount of the wax) after heating the paraffin wax in a microwave. This thick creamy paste must be applied on the cracks. Wear socks for the night and wash the feet properly in the morning. 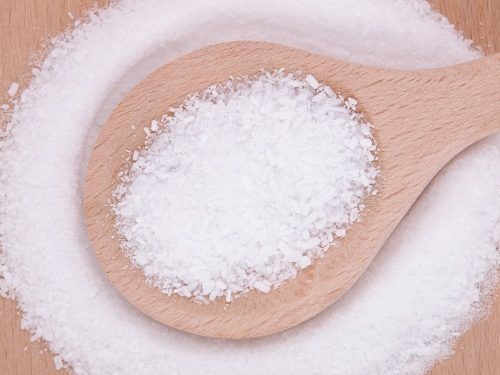 Epsom helps in circulation and its magnesium content removes toxins, developing the skin health. It is important to stay hydrated. Drink at least 8 glasses of water per day and avoid alcohol and caffeine as these increases itchiness of your dry feet. 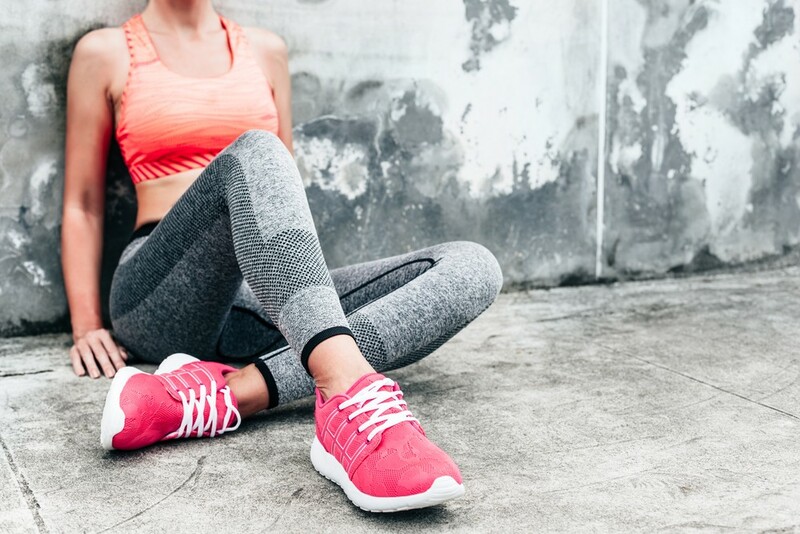 Shoes with air pockets or breathing space are recommended to keep your feet healthy as it helps to retain the moisture and prevents it from drying out quickly. It is also recommended to change shoes instead of wearing the same regularly day in and out. Avoid wearing heavy boots indoors even during the winter instead change into breathable and lighter ones. 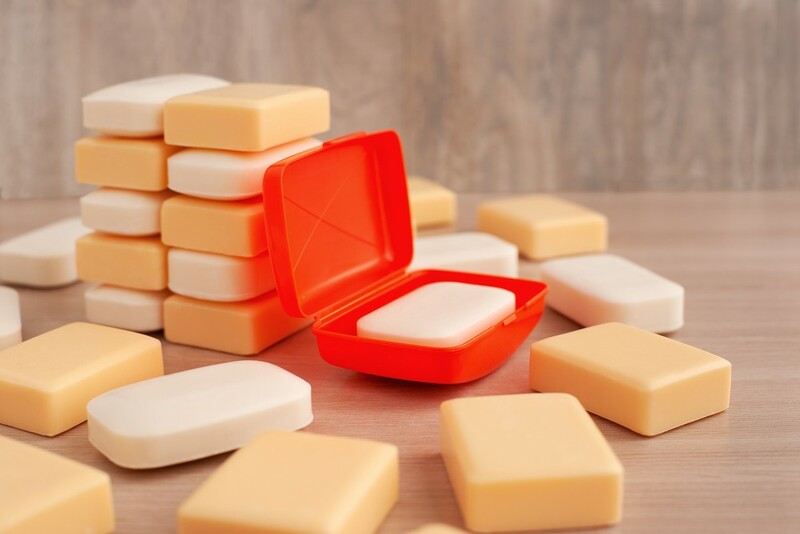 Using harsh soaps is prohibited as it acts as an instrument to your dry skin. They deplete the fats of the skin and leave it tight and dry. According to the dermatologists soaps with high glycerin content are the best to keep the skin moisturized and healthy. Apply petroleum jelly regularly before going to bed and wear cotton socks overnight instead of wondering on how to treat dry skin on feet. Honey exfoliates the dead skin, ensuring the protection of the moisture in the skin cells and helps in softening the skin. 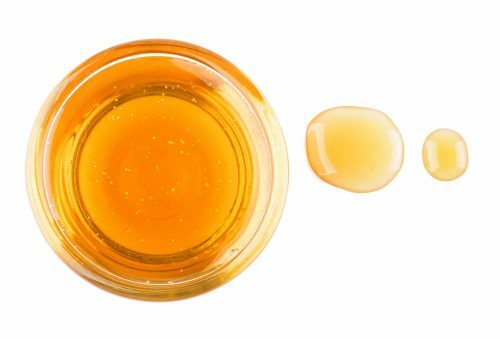 Apply a mixture made of 1-2 tablespoons of raw honey, 1 tablespoon of olive oil and rice flour and apple cider vinegar over your feet. Keep it for 15 minutes and wash it off well with water. Do not forget to apply moisturizer after this process. Sea salt’s harshness removes the dead skin and helps in moisturizing the skin. Lavender oil, olive oil or sweet almond oil can enrich the process. Combine sea salt and sugar in raw milk after soaking your feet in lukewarm water for 30 minutes. After this scrub your feet well to remove the mixture and wash it off with water. Do not forget the moisturizing cream after this! 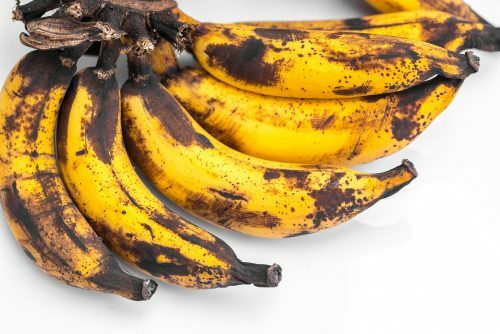 Over ripe bananas (quite unfit for human consumption) help in removing dry skin on feet. Create a paste by blending over ripe bananas and apply it all over your feet. Wash the paste off with water after 20 minutes. This cures dry and cracked feet. Apply vegetable oil (sounds gross maybe, but is largely effective) on the cracks for healing dry skin.